Nice cabinetry, but I wanted to personalize my kitchen in my eclectic style of shabby, country french, rustic chic country. Is there such a style? Yep there is, that's the wonderful world of DIY you get to make it your own style. Most of my DIY projects are not conventional, and this kitchen project was no exception. I hope you will enjoy my approach to the look, feel and budget of my cabinet makeover project. I wanted country style beadboard cabinets. But since I was doing my project by myself and keeping within a budget the purchase of wooden beadboard and the logistics of installing it were not an option for me. Instead I opted to use a 3-dimensional paintable prepasted wallpaper that resembles actual beadboard. In my area of the country (AZ) it is available at Lowes. It costs about $22 for a roll made by Allen & Roth. The roll did a combo of 14 fronts and I had some left over (yeah another project). Gather your tools: Wallpaper, wall paper paste, cutting tools: box cutter, scissors, straight edge (T-square) (yd stick), measuring tape, damp cloth, you may also need a sewing needle to remove any air bubbles if you happen to get some. Paintable caulking. Primer paint (I love Kilz products), cabinet paint, for kitchens I prefer a semi-gloss. Thoroughly clean & degrease your cabinets. A good product for this is EZ Pour Super Clean. It is a tough task cleaner degrease. It is concentrated and comes in a purple plastic 1 gal size jug. It is available at WalMart. I used 100-150 grit sandpaper and a sanding block. slide in one side of the paper and have the top or bottom and one side square and then cut away the other 2 sides. Even though the wall paper is prepasted (follow manufactures instructions) I like to add a bit more to the surface before applying the prepasted paper. I like the security of the extra adhesion. Since your working with straight lines you can use your square and a level to get the beadboard paper square. Make sure to center the center of the beadboard paper so the beadboard rungs will be equal as they fall away from the center: example 2" rung on a 14" front would be 1" 2" 2" 2" 2" 2" 2" 1". When setting the beadboard paper, lightly, from the center, smooth the paper out to the edges. Use your soft damp cloth with a light touch to squeegee. The paper will still be a bit slippery at this stage so be careful to keep it square. If it gets a little off, about 1/4" don't worry because you can caulk it later and know one will ever know. **You can use tube caulking or if your more experienced caulk and caulking gun. **If you use caulk tube be sure to cut tip at an angle (about 45 degrees) it's better to cut the tip off a little short. You can always cut more of the tip if you need to. ** Hold at an angle when applying. **Use steady pressure. **Once you've caulked your line you can dampen your index or middle finger in water and drag it across to smooth out the bead of caulking. If you get way to much caulk on, you will need to wipe off with a damp cloth. **Don't use to much water. **A small line (bead) of caulking works best with beadboard otherwise it will spill into the rung lines. Those edges will show up more with glossy paint. **Practice with a piece of wallpaper pasted to cardboard leaving an open edge to bead. Apply primer, sand lightly if needed before applying paint. If you sand, make sure to use a damp cloth to remove dust before painting. You can brush your paint on, or you can spray paint. After paint drys you can personalize even further by antiquing or glazing. I didn't do that on this project. I just wanted a soft sheen almond color. You can also use kits like "Rust-olem". I'm not fond of that particular kit. For me the paint was very thin almost water consistency. I returned the kit and used kilz primer, and a semi-gloss paint.. Adding hardware is optional. But for me it tied in the country look I was going for. If your lucky enough to live near a "Hobby Lobby" they carry knobs and pulls of all kinds and they are always 50% off.....yippee yeah!!! Check out sneak peek for more of my upcoming tutorials on DIY's and my trip to Paris! oh my gosh I love love love it!!!!!!! you're amazing. Thanks lil ms Sugar Jane. 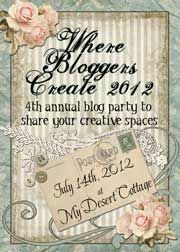 Make sure to view the "Where Bloggers Create" There will be tons of bloggers with photos of their craft and creative spaces. My first year... I'm so excited! I did that about 10 years ago in my kitchen and it is still so beautiful. It costed me only 20$ ! Great makeover ! WOW where was this when I was doing my cabinets??? I have to go get some of that paper! Absolutly beautiful! Your counter top is amazing. Looks like a cozy room to be in. Thank you for sharing. My mouth is hanging open!! You did an AMAZING job at that redo!!! Wow...now THAT"S the way to redo a kitchen! Just knowing that beadboard wallpaper exists opens up a whole new world to me, but seeing that used for the cabinets...well just amazing! So glad you did that tutorial! Great makeover! I really love what you did with the cabinets..
very nice and simple! Your kitchen looks good and expensive. I will share this post to all my friends so that they can see your kitchen cabinets and make them inspired on your work. Anyway, you can also read available information about Kitchen Cabinets, just Browse Here! What will you use to revome it? I am moving to a new apartment. And of course I can't paint the cabinets or do something to it. I came across this amazing idea. But since I am renting, when I get to leave I must leave cabinets as I found them. How will you remove this? Without damaging the wood? We just bought a home and the cabinets were in need of a facelift. I pinned this months back and decided to redo our cabinets this way because I loved this. We are just about done and it looks amazing! Thanks for the great idea. The finished product was great I was not able to you had used wall paper. Thank you so much for sharing. Just wondering how the paper has held up now that you have been using it for a while. I am worried that in a family of 4 the paper might not hold up to use and cleaning? I was wondering the same thing. I have used the wallpaper in the boys bathroom and on the back of my book shelves but I really wanted to know how well it would hold up on cabinets. I am so glad I saw this on Pinterest! I had seen the beadboard wallpaper before and had wondered if it could be used on cabinets in this way. We are in the process of buying a house and the cabinets in the kitchen are exactly the same as what you started with. Now I'm excited!! I used that paper on my guest bathroom walls...never thought about using on the cabinets! Very nice. I can't tell you how much I love this project!! I would have never thought of something like this and it looks fantastic!! You did an amazing job and just the idea and how it transform your kitchen. I came here from Pinterest and became a follower! The beadboard you installed created a fine texture to your cabinet. And I really like how they turned out, because it ended up matching the color of your walls. That is one thing I always consider when thinking about repainting the cabinets. That way, every corner of the house seems well-coordinated. Thanks for sharing! How did this work as a backsplash? I was thinking about doing the same thing!! This is a great idea! I am using it to remodel the walls in the bathroom as well as the cabinet fronts in my RV. I will let you know how it goes. This is great but your area was square. I have those arched doors. How would you do those? This is a great tutorial, but I'm begging you...please learn the difference between your and you're. And the difference between to and too. I do not understand why people have to be such critics! If u understand what is being said, who cares. Is it removable? I would love to do this in a rental. This is exactly the look I was going for two years ago when we painted our kitchen. Our cabinet doors were not amenable because of a more rounderd corner. I wanted to add trim to them to square them up so the beadboard paper would have a frame but couldn't find the right moulding that woulnd't interfere with the 'vintage' sytle hinges I had purchased. You did a great job and I'm green with envy! I'll fnd a solution yet, I haven't given up on my country farmstyle kitchen! Love it. I am so going to get this wallpaper and use for mud area. Thanks for the inspiration. So did you paint over the wall paper or did you just paint the trim? I would really love your input! Yes, you do paint the wallpaper, I followed this tutorial for my cabinets and they turned out really good, and the wallpaper is easy to paint. Thank you so much for this tutorial. We just bought a house with old style kitchen cabinets that were dark and just not my style. I added plywood strips around the edges to make a frame and then did the bead board wallpaper and painted them white. They look so good and completely transformed my kitchen! I do a lot of woodworking... Designed and built my house and my kitchen cabinets... and I gotta tell you... This makes cabinet doors sooooooo much easier... this is brilliant ! Excellent Greg. Good, practical stuff. I just floated your article around my network. Keep up the good work. Most of homes are decorated by using fine colors and texture, furniture and lights especially when it comes in curtain. Good texture and proper display of an object is one way to decorate. What a wonderful outcome, congratulations! What did you use to change the countertop? I hope it was helpful and you were able to get something out of it. [www.simplicitydesignusa.com] is the owner interior designer.an interior decorating firm specializing in interior redesigns and home staging. What color paint did you buy? And brand? I love that antique white look. Thanks! Did you paint the insides too? Did you seal the paint as well? Wow great post. Thank you for sharing it. Yes, what an awesome idea to makeover your cabinets. I would have never thought about adding wallpaper! Now, it's like the possibilities are endless! Thanks for sharing! Thank you so much for giving us such kind of handy content which will be most useful to me as well as others. I love this! I originally had found this blog: http://www.elizabethburnsdesign.com/blog/2014/4/3/kitchen-cabinets-makeover-brooklyn-house where they have my exact plain cabinets and thought I would put the trim on to make them look more like Shaker cabinets. 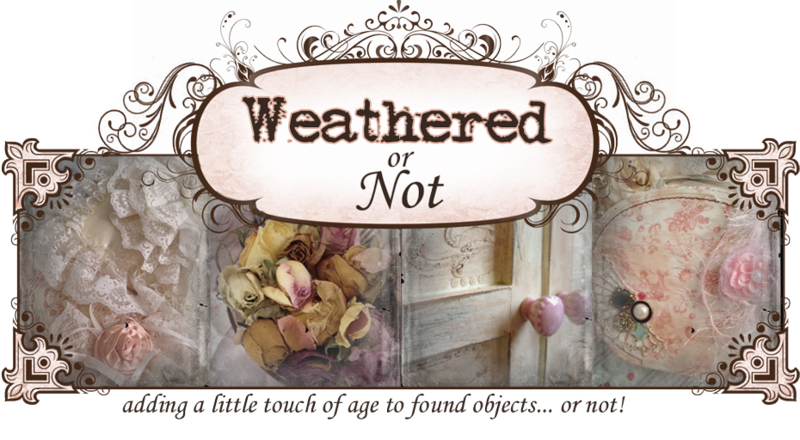 But when I found your blog, I was thrilled (I dearly love beadboard) and will now carry my makeover one step further to include your beadboard wallpaper. I'm almost ready to start on them and I know I will love them when I'm finished. Did you leave doors on hinges while painting?Did you paint the inside of cabinets? I really like the way you change your kitchen cabinet look and style.Simply stunning. You may like to check White kitchen cabinet design ideas for your future kitchen remodeling tasks. How has the wall paper held up over time? Just wondering how durable it would be. Thank you. Great post on Kitchen cabinet makeover. Perfect explanation was given with step by step procedure. I am regulary read it. Your content is most important to us. We need a wonder in our home and surrounding us, we need some new and a la mode in the things which are appended with us. We are giving the administrations for wallcovering, divider covering, entryway wraps, bureau reemerging, Belbien Laminate, Belbien film, Belbien vinyl and weight delicate vinyl overlay. I absolutely LOVE what you did with your kitchen cabinet! you are amazing. Just discovered your site and I love it! I would like to thank you for sharing your kitchen cabinet makeover. We live in a home and home is necessary for all because it is our first requirement. We should keep and clean our home. Housekeeping Service is necessary for all homes, office, hospitality. These kinds of Facilities Companies help to keep and clean all places. Download the latest Belbien Architectural Finishes catalogue and technical information. With more than 500+ interior and exterior patterns to choose from, Belbein is the perfect product for all architects and designers. Every house has a kitchen whether small or large. They always want it to look neat and clean. That is the reason they keep renovating the kitchen with the passage of time whenever required. You kitchen renovation tutorial is amazing. I loved it. Loved this Kitchen Extensions. Thank you so much for this post. Super work thanks for sharing it. Find and save ideas about Custom kitchen cabinets Brampton or you can meet us for quality-wise cabinet fixtures. So do not think more, visit at ssfw.CA today !! Measure the front area of cabinet and allow salvages of at least 2" on 2 sides. Signature store fixture & Woodworking offers the finest custom millwork services in Mississauga to complete any project large or small. So do not think more, visit at ssfw.CA today !! Good one and this wood color kitchen combination works better. Stir your appetite. Did you know the kitchen can often be overlooked when it comes to wall decorating ideas. Most people invest in large items, like stainless steel appliances and granite counters, but forget the finishing touches. Give your kitchen a complete look with canvas prints of your favorite savory dishes or steaming coffee mugs. Brightly colored photos of fruits and vegetables will surely whip up an appetite, or you can add your favorite cooking quote or expression to make the room personal. And therefore you don't need to be anxious about the purchase price. You can find more details on Best Laser Leveler - Detailed Reviews Of The Latest Laser Levelers - Page 3 on the site bestlaserlevelers.com. Thank for share.this is great for my business. thanks a lot, you're my favorite person now. Thank this post here. Because ít is very useful. See more ideas about dental office cabinet fixture at Signature Store Fixtures - SSFW today !! Impressive, though I'd rather have my kitchen handle by the professionals at http://www.thehomeexpert.uk/offer/kitchens/. thanks for sharing this detailed informative post ..
Hello, Neat post. There is an issue with your web site in web explorer, would test this… IE nonetheless is the market chief and a big component to other folks will omit your magnificent writing due to this problem. Wow, your home really looks beautiful! May I recommend a fitting bathroom offered by http://www.thehomeexpert.uk/? Very nice Blog I have learned many things from this blog related your product. Nice Post, Informative blog, Thanks for Sharing. kitchen is a very integral part of every home. We are cabinet makers in Barrington have rich experience in modern kitchen cabinets, custom kitchen cabinets, vanity cabinets, kitchen wall cabinets, kitchen pantry cabinet in Barrington. We have full confidence to meet your special request for any material to finish.We also supply high-quality cabinet Material to meet your different grade project needs.With competitive rates and high-quality standard, we built stable Cabinets with the use of Latest & Trending Technologies. Our strength and continued success lies in our ability to finish special and complicated joinery works and has resulted in repeat business as well as recommendations. additionally sharing in delicious. And naturally, thank you to your effort! If you are looking for MCA college in delhi, IPEM is one of the best college. You must check it out. Thanks for sharing such beautiful information with us . I hope you will share some more info. Please keep sharing! If you are scouting for snap dentures in Mexico, then you may visit the official website of Tijuana Dental canter and book an appointment immediately. If you are looking for Best interior designers in noida, Then Infurgo Interiors is one of the top interior design Interiors firms in Greater Noida. You must check it out. Welcome to my blog. Like many creative people I can't remember a time I wasn't creating or designing something. I designed "The Farmhouse Collection" that was manufactured in the USA and sold through out the USA and Canada. I also create fine art in either oils or acrylics. I love to cook and sew as well. Now that I'm retired, I plan to devote more time for my passions and use some great things I've collected on my layovers. I hope you enjoy visiting.